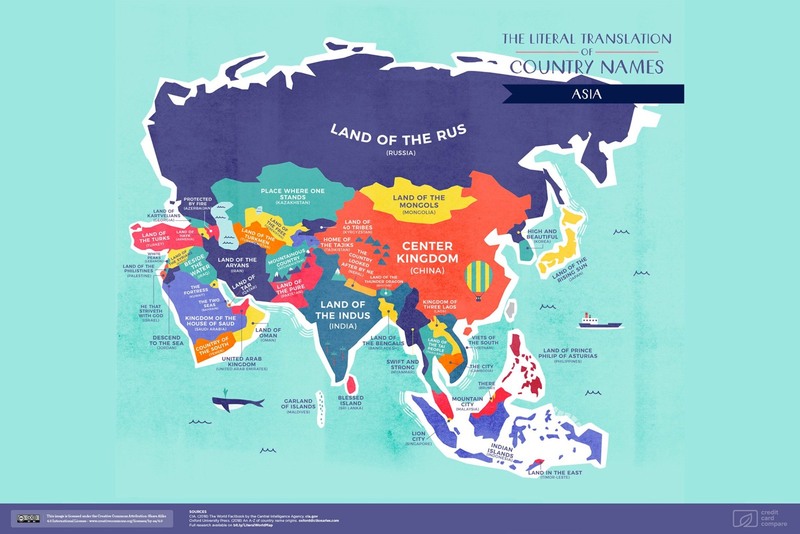 "The literal translation of country names". Here's the Asia map, click on the map to see larger version. (Click through to the main article to see all the other continents). UPDATE: Looks like the original source is an Australian credit card comparison company. Kottke also notes, "I have gotten many messages indicating the map is incorrect in one aspect or another, so you might want to take the whole thing with a healthy grain of salt (despite the research)."